So DAMN NICE!!!! 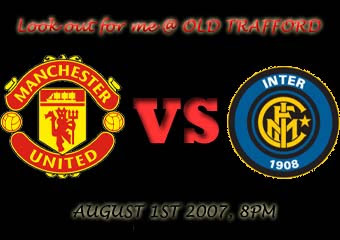 I’m there to watch Manchester lose to InterMilan 2-3. First half already so many goals. Plus, there’s a flasher running loose at Old Trafford which never happened before. Record breaking attendance 73,730 spectators. THRONGS of people in red. I SAW ROONEY SCORE THE GOAL!!! TIRED, WILL UPDATE THIS PART LATER ON. This entry was posted in UK and tagged manchester, UK. Bookmark the permalink.